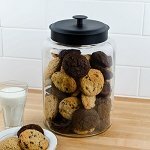 Return to the good old days in a big way by offering products in this super-sized candy/cookie jar. The 2 Gallon Glass Penny Candy Jars with Lids work perfectly on a counter top filled with impulse products, dog treats in your kitchen or on shelving with delicious tasting homemade sweet treats. Customers will be drawn to the nostalgic appeal of these handy dandy display containers. 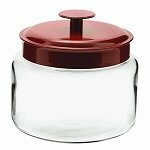 Glass canisters with lids can be used for a variety of items and not just candy. Large glass containers can be used for other food items, novelty items or small trinkets. 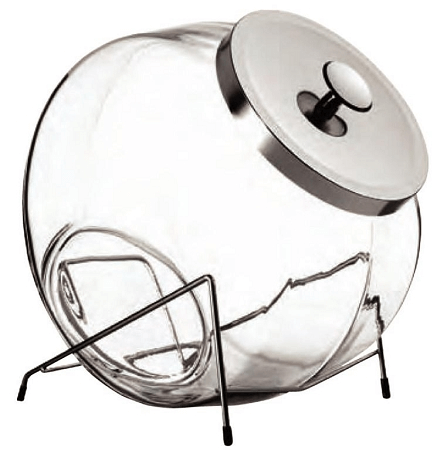 These two gallon capacity glass canisters can also be used around the home to help keep you organized. You fill find an abundance of uses for these large canisters. Add a little classic appeal to your store. Order your candy canisters today.